This is a old time dish - but still a goodie. 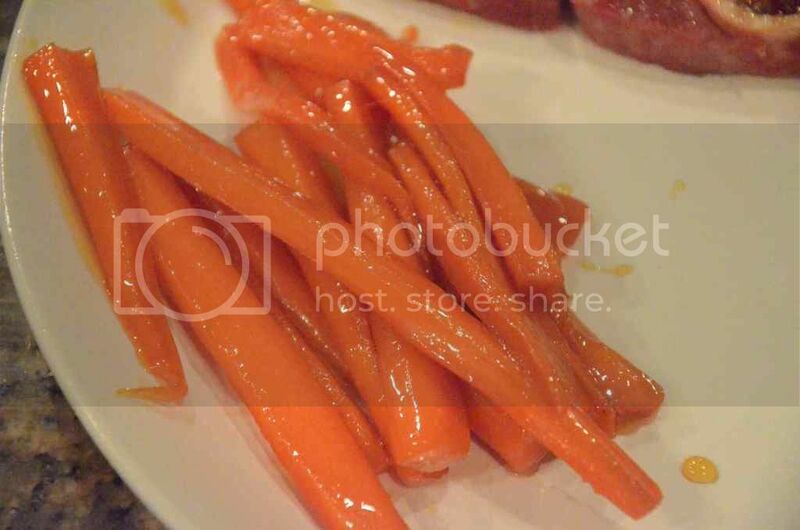 The recipe is simple - carrots, water, pinch of salt, maple syrup. However there is a bit a trick to making it all work and it may take more than one attempt to produce a good result. Takes about 20 minutes of frequent attention - you really can't set a timer and walk away. 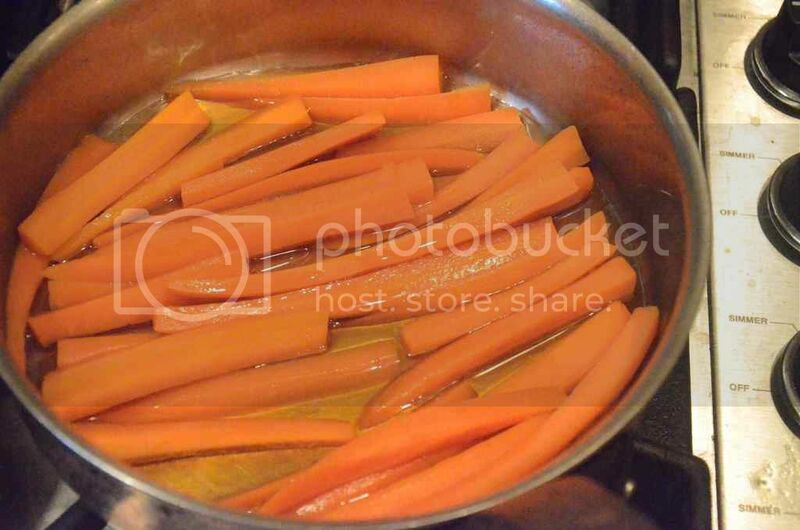 Peel and slice carrots into sticks - uniform thickness is a benefit - cut to 3 - 4 inches (7.5-10 cm) length. 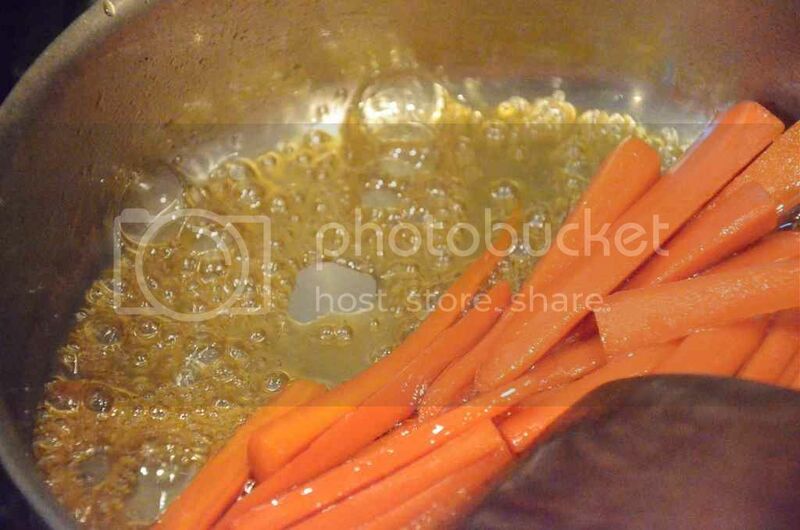 Boil the carrots with a pinch of salt in a shallow pan about 4-5 minutes - then drain all but 1-2 teaspoons (5-10 ml) of the water. Do not overcook ! 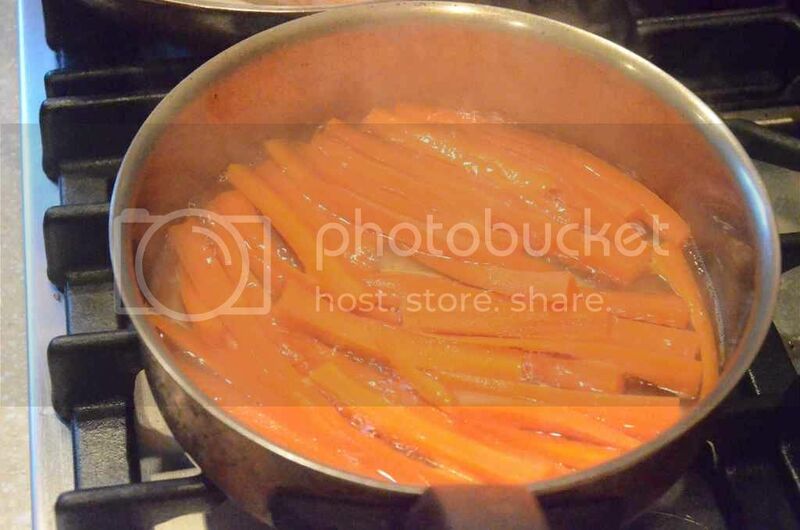 This is the first part of the 'trick' - the carrots will continue to cook in the syrup, and not only continue to cook time-wise, but the (reducing) syrup attains higher temperatures than boiling water and cooks the carrots 'faster' - I use the prong of a sharp fork to judge doneness - the fork should only penetrate slightly before hard resistance. Increase the heat to boil down the maple syrup; the initial bubbles in the pan will be large, as the syrup reduces the bubbles get smaller. Reduce the heat as the syrup gets thicker - because it can quickly get too thick.